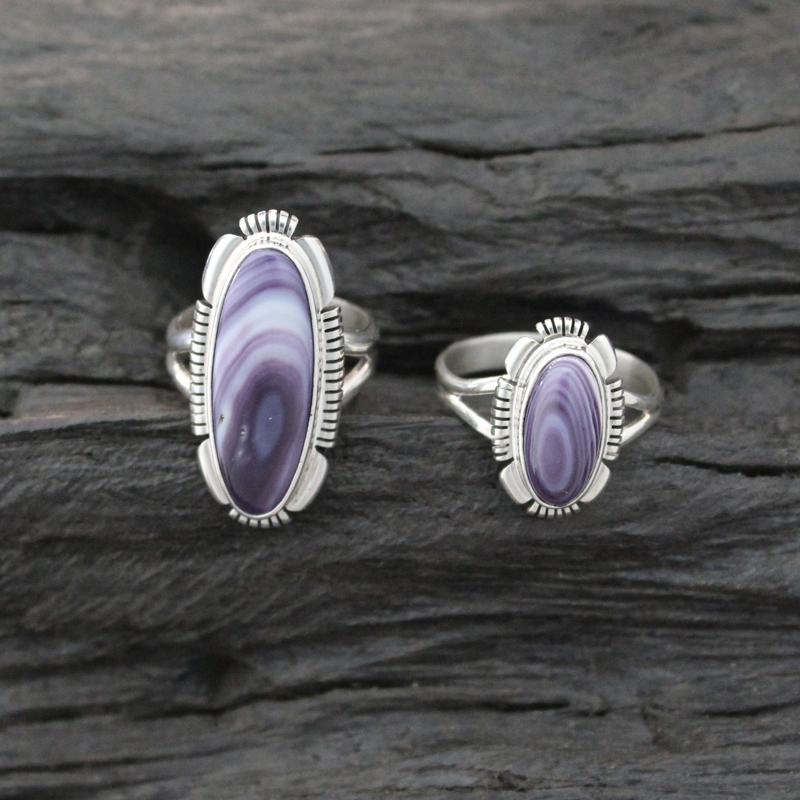 This cute ring is Native American handcrafted in our workshop with sterling silver and features a small hand cut Wampum cabochon. Surrounded with a beautiful detailed hand cut designed edge. Available in different ring sizes, shades and patterns. This center design including designed edge measures at 17 mm (11/16") in length and 10 mm (7/16") in width. 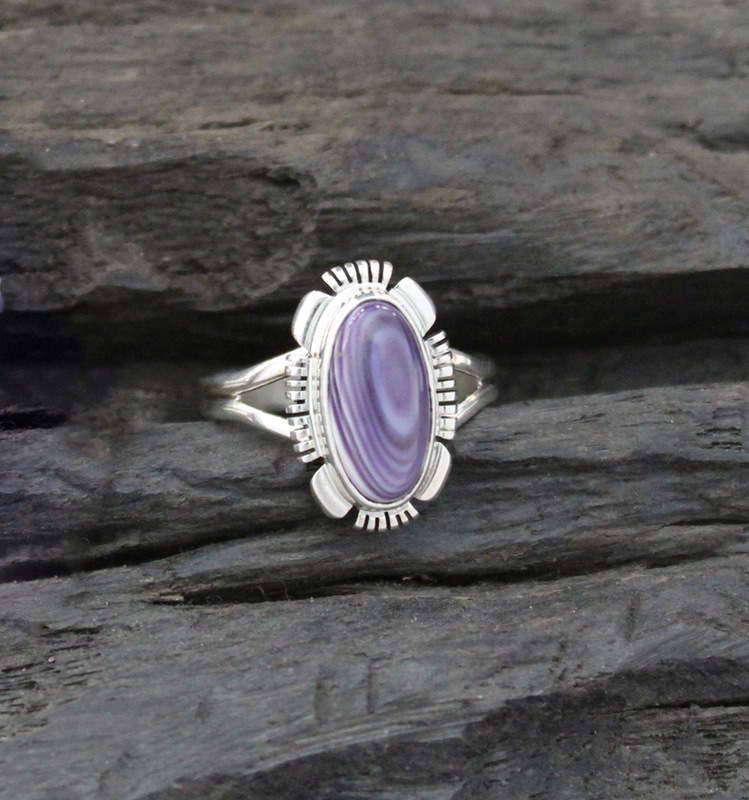 *Shown above with the Medium Oval Wampum Ring with Sterling Silver Designed Edge. and also available is the Large/Extra Large Oval Wampum Ring with Sterling Silver Designed Edge.